Today superhero fans said goodbye to a legend as the news broke that Adam West, the star of the 1960s Batman television series, succumbed to leukemia at the age of 88. Batman ran on television for three seasons from 1966 through 1968, but Adam West’s relationship with the character of Batman did not end when the show did. Though West never made an appearance in a live-action Batman movie, he continued to return to the franchise several times over the decades in its various animated incarnations. 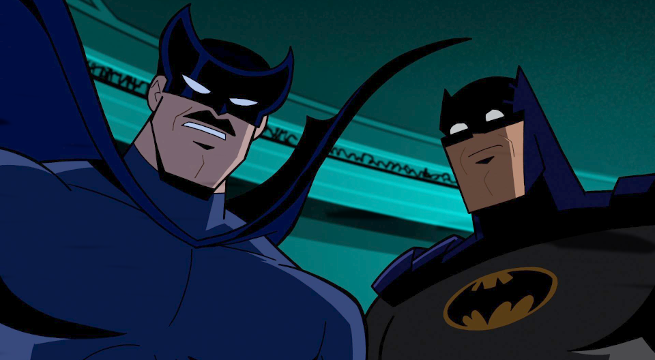 Approximately ten years after the live-action television series, West helped Batman make his Saturday morning cartoons debut in The New Adventures of Batman. The series was short-lived, but West eventually took over the role of Batman from Olan Soule in the final two season of Super Friend. West was considered for the role of Thomas Wayne in Tim Burton’s first Batman movie, but ultimately didn’t get the role. 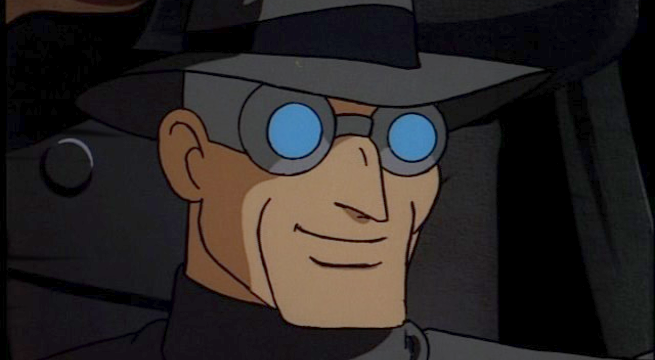 However, Batman: The Animated Series, which was launched from the momentum of the Burton-helmed film franchise, honored West with the episode “The Gray Ghost,” in which West voiced a television hero quite similar to his own live-action Batman whom the animated Bruce Wayne idolized as a child. When another Batman cartoon, titled The Batman, launched, West took on the role of Marion Grange, the Mayor of Gotham City. 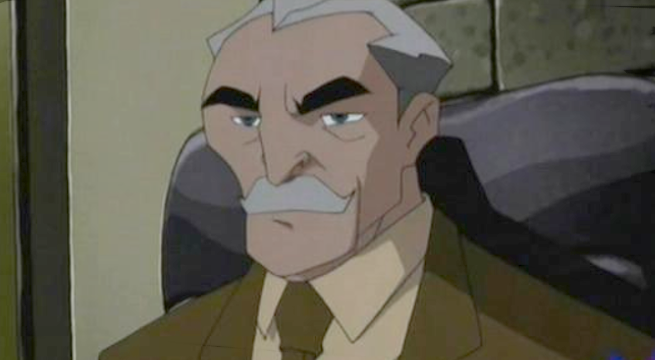 He played Bruce Wayne’s father, Thomas Wayne, in another symbolic guest role in The Brave and the Bold, a cartoon that was heavily inspired by West’s “Bright Knight” interpretation of Batman. 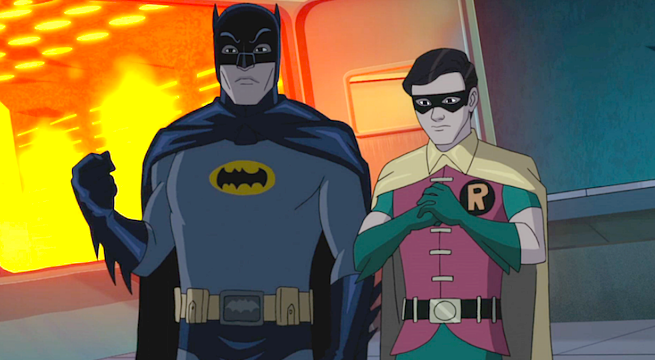 Though The Brave and the Bold may have been inspired by West's Batman television series, the show was practically reborn in the 2016 animated movie Batman: Return of the Caped Crusaders, which saw West, Burt Ward, and Julie Newmar reprise their live-action roles. Keep reading to learn more about Adam West's many animated Batman appearances. 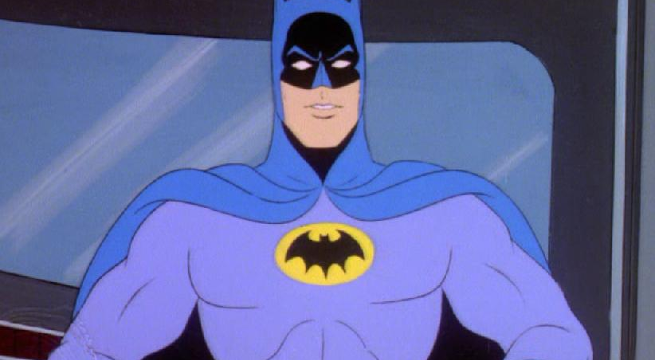 In 1977, a decade after the Batman live-action series, Filmation produced The New Adventures of Batman, Batman's first ever Saturday morning cartoon. The New Adventures of Batman brought Adam West back as Batman and Burt Ward back as Robin and sent them on animated adventures alongside Batgirl. Unfortunately, the series couldn't compete with Hanna-Barbera's Super Friends, which was being produced at the same time, and so The New Adventures of Batman was short-lived. West continued to voice Batman in cartoons of the era, including The Batman/Tarzan Adventure Hour, Tarzan and the Super 7, Super Friends: The Legendary Super Powers Show, and The Super Powers Team: Galactic Guardians. While West was passed over for a role in Tim Burton's Batman, he was honored with an episode that paid tribute to his Batman on a metatextual level. It was the eighteenth episode of Batman: The Animated Series, titled "Beware the Gray Ghost." West voiced Simon Trent, and actor who played the television pulp hero the Gray Ghost for years, a character who resembled the Shadow in appearance but bore the mannerisms of West's own live-action Batman. Bruce Wayne grew up idolizing the Gray Ghost the way so many of the people working on Batman: The Animated Series grew up adoring West's Batman television series, and the episode shows that Trent is a real-life hero himself. In 2004, Kids WB launched a new Saturday morning Batman cartoon titled The Batman. West voiced the character of Mayor Marion Grange in seven episodes of the series throughout its four-year run. Grange was elected soon after sightings of the Batman were first reported in and around Gotham City. Lucky for him as Batman was frequently tasked with saving Grange's life from assassination attempts by the Joker. Grange was also a close family friend of the Waynes. While cunning in his own right, he fails to see through Bruce Wayne's act and inadvertently ends up causing him plenty of problems when it comes to fulfilling his duties as Batman. Interestingly, Marion Grange is a female character in the DC Comics universe but was changed to male for West's role in The Batman. Adam West returned in the next animated iteration of Batman, titled The Brave and the Bold. The series featured the tongue-in-cheek humor and bright, heroic interpretation of Batman that West played in the live-action series. Just as the classic Batman TV series could be seen as the father of The Brave of the Bold, West got to play the father of the series' Batman in a flashback in the episode titled Chill of the Night! In the episode, the Spectre and the Phantom Stranger place a bet over how Batman will respond to discovering the identity of his parents' murderer, Joe Chill. In order to provide this revelation, they show Batman his parent's death again, and eventually his parents as a happy couple at a costume ball for charity. In 2016, DC Animation and Warner Bros. Home Entertainment released Batman: Return of the Caped Crusaders, and animated movie that played out like a lost episode of the original Batman live-action series. West reprised his role as Batman, Burt Ward returned as Robin, and Julie Newmar returned to voice Catwoman. The film pits the Dynamic Duo against several of the villains from the classic Batman television series, including the Penguin, the Joker, Riddler, and Catwoman. When Batman: Return of the Caped Crusader was released it was said that a sequel was already in the works. It is unclear of West recorded his performance for the sequel before the time of his death.